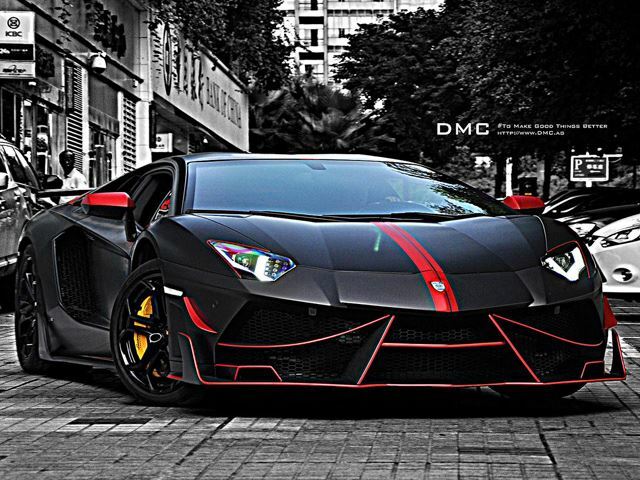 When you say Lamborghini you instantly think at force, beauty and elegance. 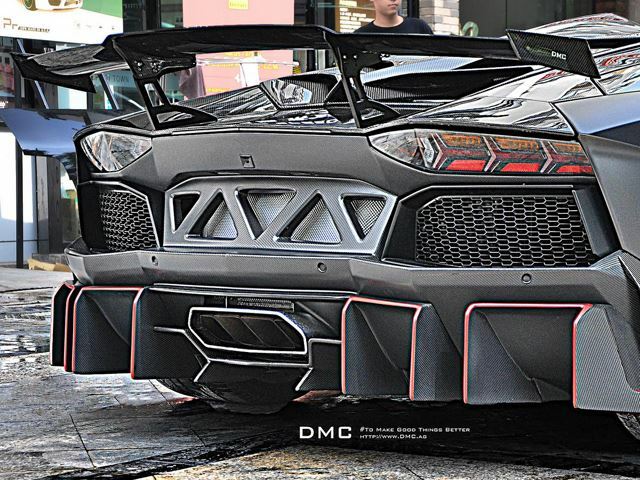 This is the car that kings would drive if they would be allowed to salute their royal subjects from a Lamborghini. 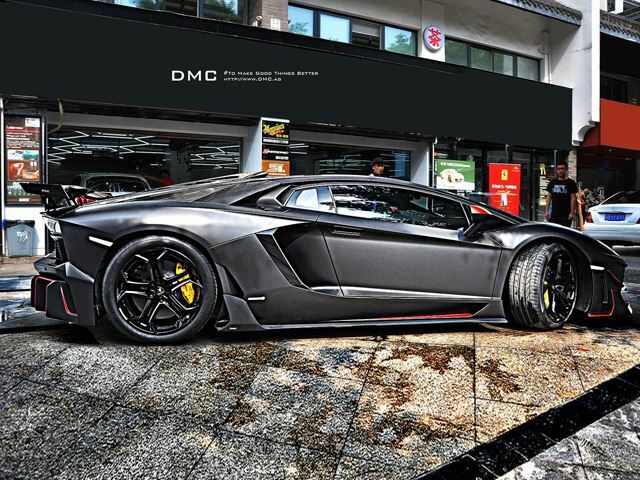 But do we intend to discuss just any Lamborghini? No! 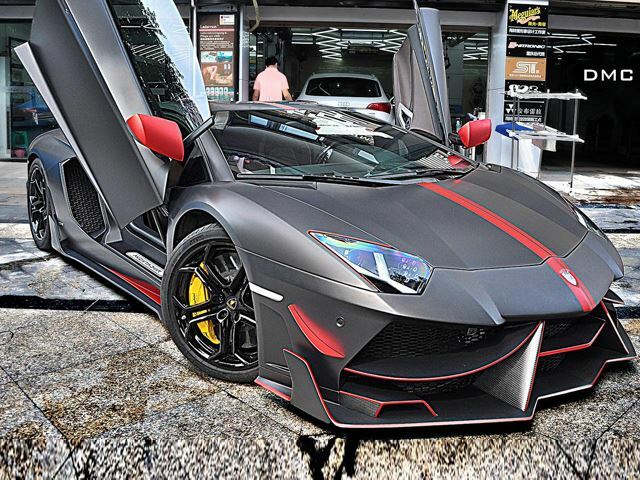 Today is all about the Lamborghini Aventador Edizione GT signed by the German tuner DMC. Although we would expect Europeans to have the chance to see this modified beauty for the first time, the Chinese were luckier. 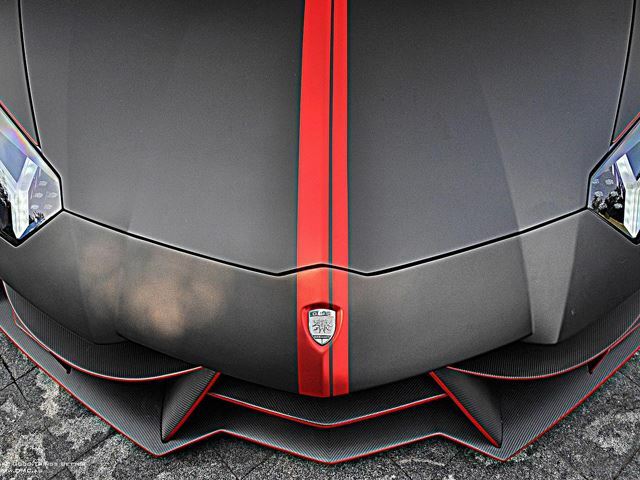 This jewel was seen in Chongqing, China in a paint job that combined Rosso &Grigio with restyled bumpers. And that is not all. With this $288.888 kit (yes, it really costs that much) you get a fabulous GT rear spoiler and a read diffuser, a brand new engine hood with air scoop and quad exhaust. But these cosmetic touches are nothing compared to the monstrosity that can be found underneath the hood: a 6.5-liter V12 with wait for it……988 HP (an upgrade from 700). Say what? You really get almost 1,000 HP just like that? Apparently, yes! This is possible due to a twin-turbo modification, individual throttle plates for every cylinder, a remapped ECU, injection nozzles and new fuel lines and pumps. And just to have everything clear, the price of $288.888 is in addition to the total price of car. However, it does include personalized suspension and a bespoke cabin. I don’t know if there is anything else to say but ‘wow, Lamborghini has done it again.’ What do you think about the pictures below?